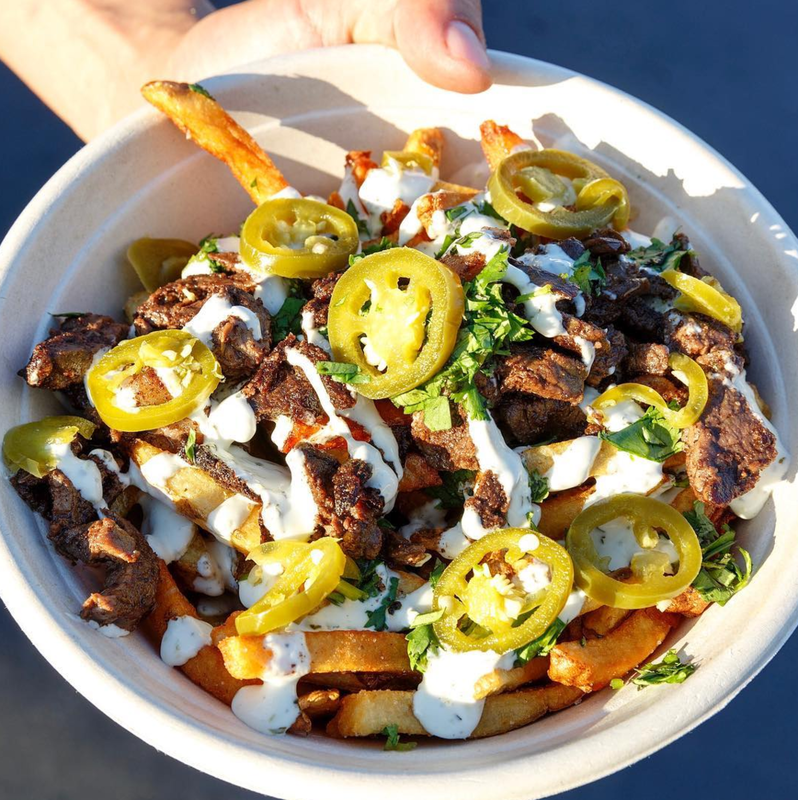 Falasophy is a modern Lebanese street food kitchen, which started its journey in 2014 as a food truck roaming the streets of Southern California. 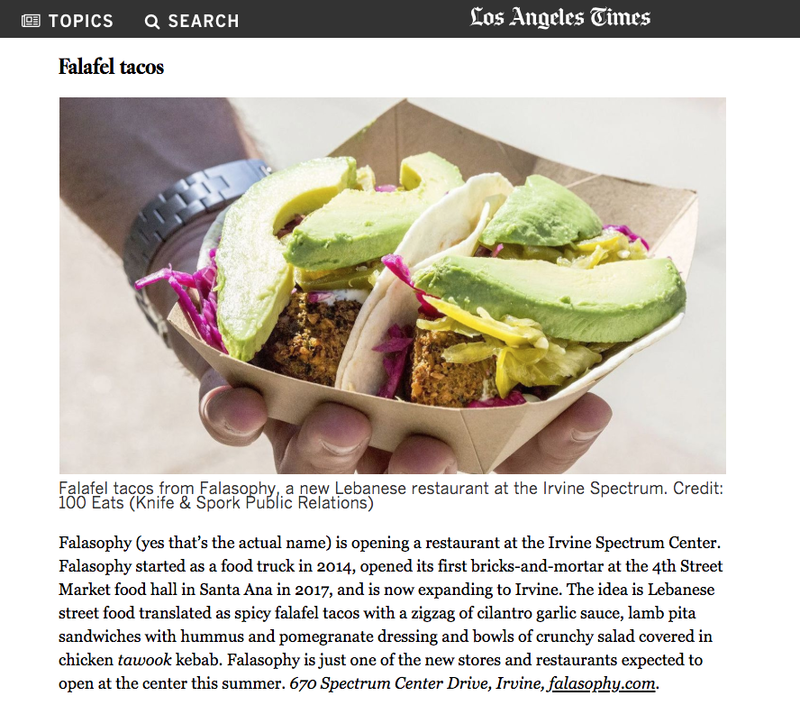 In January 2017, Falasophy opened its first brick-and mortar location in the popular Downtown Santa Ana food hall, 4th Street Market. Falasophy provides patrons with exciting, cravable Lebanese street food, using the highest quality and freshest ingredients possible. 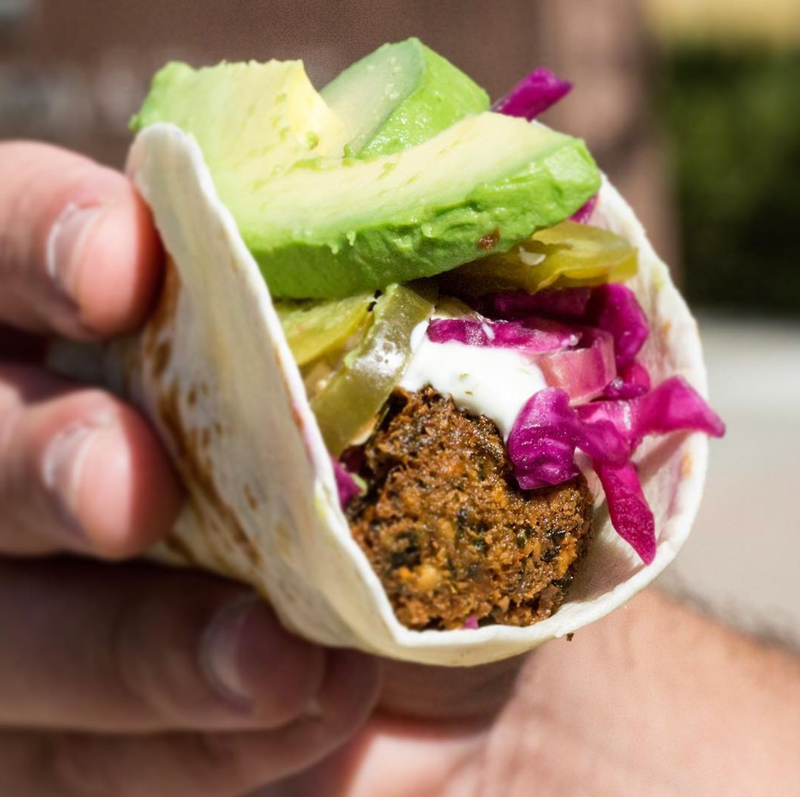 Falasophy's menu is focused on falafel, hummus and Lebanese street favorites. 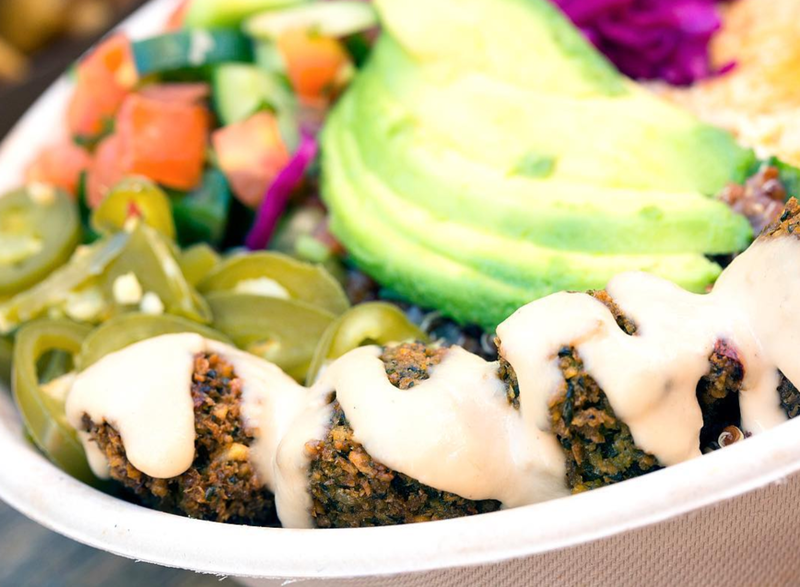 Their offerings are widely influenced by Southern California fresh and local flavors. 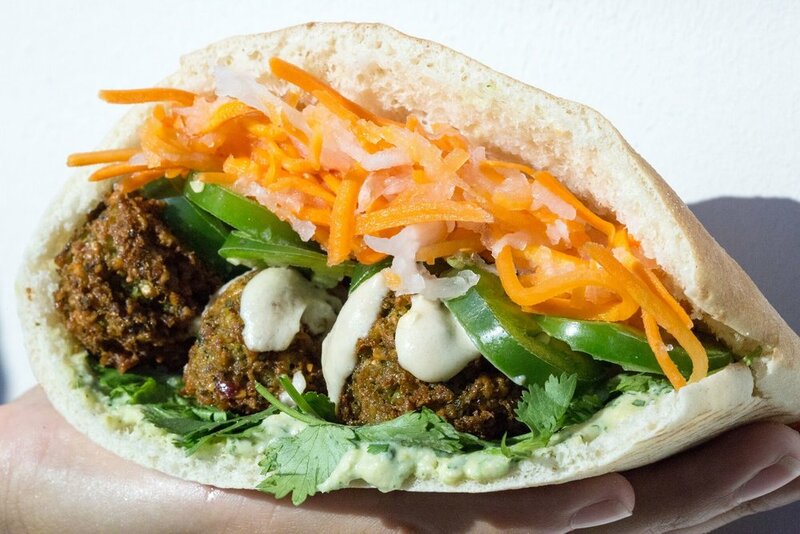 Spicy Falafel Tacos are bringing new meaning to Taco Tuesday, and their Banh Mi Inspired Pita is unlike anything you've ever had. Everything Falasophy serves up is made from scratch, and their team is dedicated to providing great tasting food, period. Beirut Box: hummus, Lebanese rice, tomato-cucumber salad, pickles. Sunday - Wednesday, 11:00 a.m. - 9:00 p.m.
Thursday - Saturday, 11:00 a.m. - 10:00 p.m.
Sunday - Thursday, 11:00 a.m. - 9:00 p.m.
Friday - Saturday, 11:00 a.m. - 10:00 p.m.